A lonely car is sneaking through the gravel roads of Joe Slovo West, a township in the north of Port Elizabeth in South Africa. The navigation system does not find a way through the alleys, since the streets have not been mapped yet and there are no streets signs either. Whoever is not street-smart here, gets lost easily between car wrecks and ramshackle shacks, hopelessness and poverty – the home of thousands of people. Pigs and hen are running trough the labyrinth of streets that is covered in mud and trash. 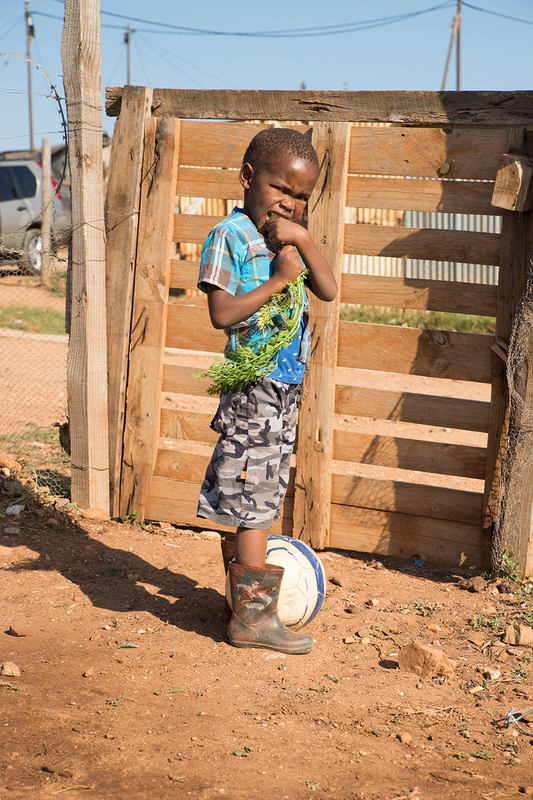 Groups of children play barefoot with an old and porous football, one group at a time. Playgrounds hardly exist, only shacks, which mostly are not made of bricks, but of cardboard, ply wood and tin. Only a few have something that resembles a front garden, but it is more a symbol of affluence than a place to spend the leisure time. 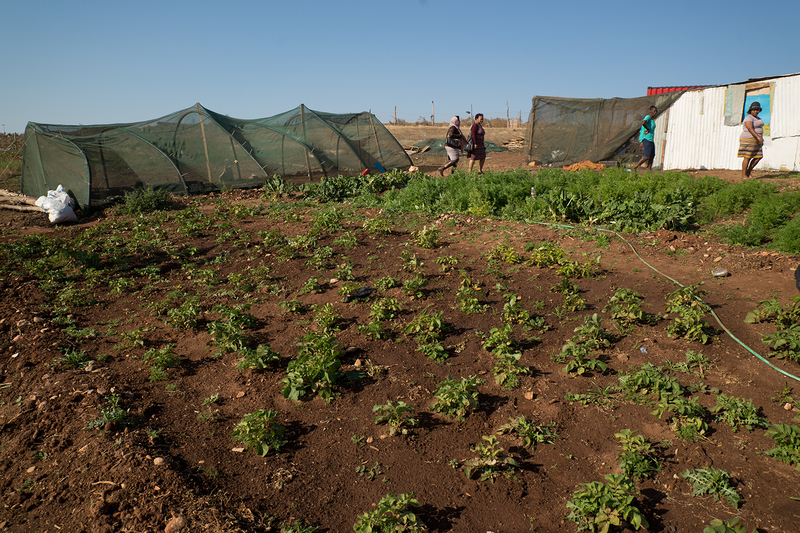 Nothing grows here, because there is no running water, or harvested rainwater that could be used to water plants. But at the border of this township, one building stands out: A new wooden construct with two transparent walls and three trees in front of it. 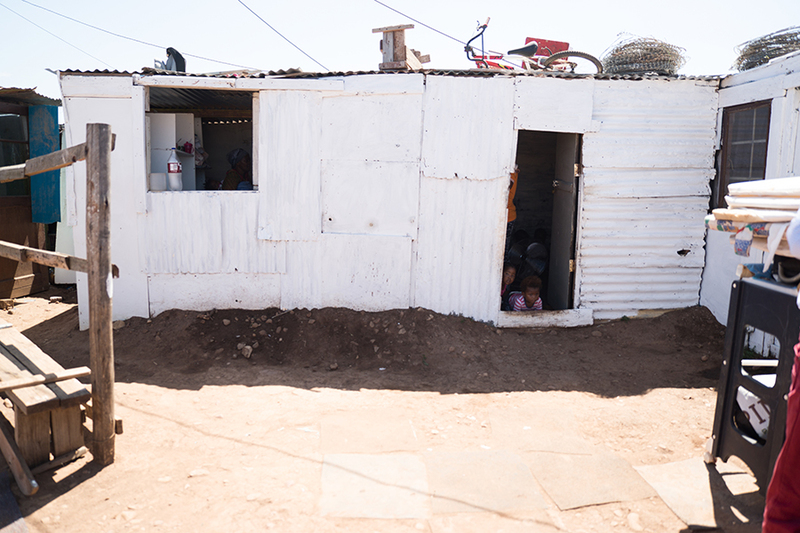 The South African constitution gives everyone the right of access to an adequate housing and to live in an environment that is not harmful to health or well-being. That includes the right to have the environment protected, for the benefit of present and future generations. Moreover it promises a legislation that prevents pollution as well as ecological degradation and secures an ecologically sustainable development, the use of natural resources and everybody’s access to health care services, water, security and education. At least this is the constitution’s promise. Reality shows a different picture. As many other emerging economies South Africa faces demographic developments that entails societal tensions. The population increased by almost 50 percent within the last 25 years. More often than not young people seek their fortune in the cities trying desperately to find work. Often they arrive with little more than the clothes they are wearing, not able to afford proper housing. Without an alternative they occupy a small patch of land with or without the consent of the land owner far from anything that would ensure dignified living. 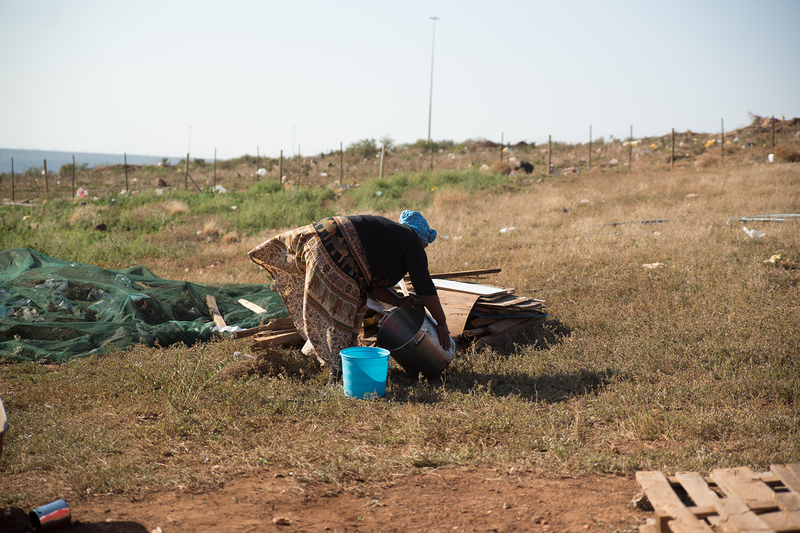 Land development plans rarely exist for these informal settlements. Even if they did they could not steer the mass of people settling in these areas. If you have nowhere to go, you do not ask administration for permission. 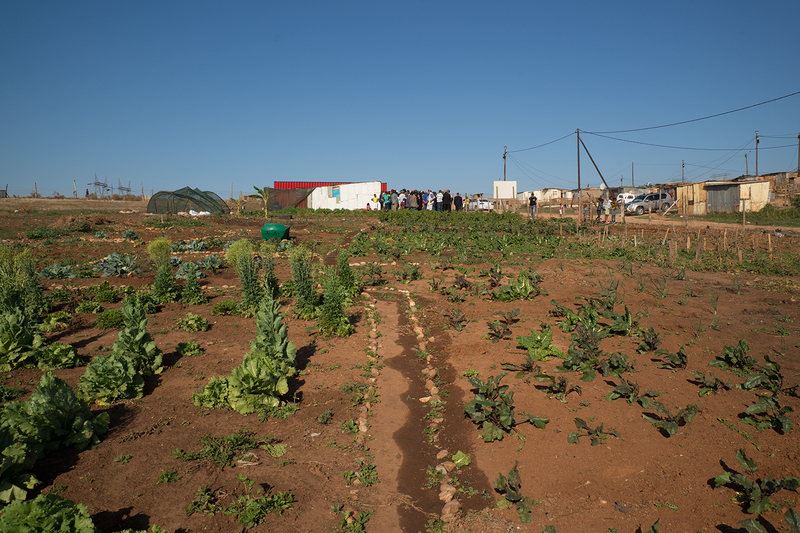 Humane living conditions let alone sustainable settlements seem to be far out of reach. Houses are built of everything the residents can find: scruffy wooden panels, rusty metal rests or even old election posters, that are supposed to keep them at least safe from the rain. The living conditions in those ever growing informal settlements are a serious threat to the health and the safety of their inhabitants. Strong winds blow dust in every corner. On some days it is so bad, that the people have to cover their eyes when they leave their houses. During summer the temperature reaches up to 40 degrees and without any plants there is no shade for men and women working outside. Many of them wear woolen hats as well as clammy soil on their skin to protect themselves from the sun. The winter on the other hand brings cold nights, which sometimes reach zero on a Celsius scale. Heating is not available, small fires from the fireplaces in the houses are the only possibility to heat up the room a little bit. But the houses with all their holes and cracks cannot contain the heat. 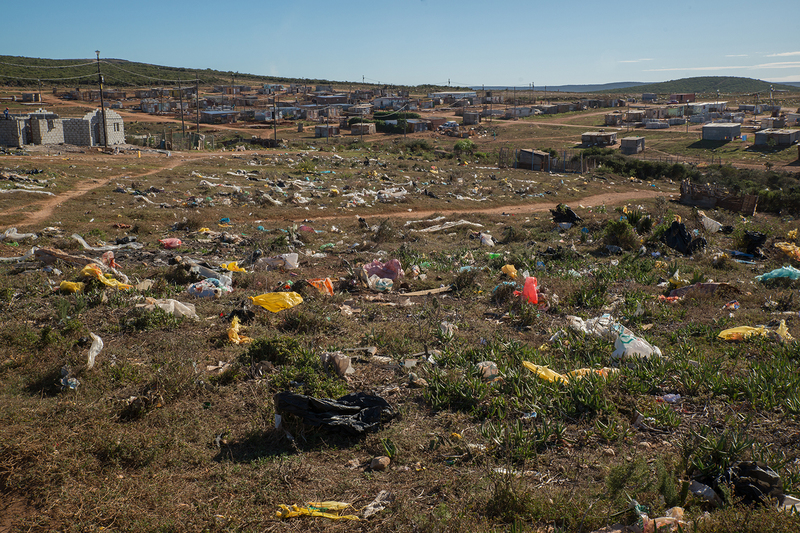 The north of Port Elizabeth, the sixth biggest city of South Africa, is strewn with shantys, trash and violence. 240.000 people are living in an area that only covers about 36 square kilometers. Access to water or electricity is of course a problem. Over two third of the households have access to piped water or tap water within 200 meters but only fourteen percent have a flush toilet while approximately one out of three households have to use pit or bucket latrines and more than one tenth have no toilet at all. Often the air is covered in cooking smoke during the day, since still one fifth has to cook with wood, coal or animal dung. Even though the climatic conditions would be perfect, only 0,2 percent are able to use solar energy. Electricity is rare since the local government is reluctant to extend their services to areas where residents are unlikely to be able to pay for them. Therefore many try to tap electricity from power poles that are most of the time already covered with illegal additional lines. While some are even able to make a living out of it, many more lose their lives during an attempt to get electricity to their homes. This lack of basic services that also includes health care or garbage disposal, and the abuse of alcohol and drugs leaves families desperate without any perspective of change. The unemployment rate amounts to 37 percent. “They know when you leave for a few days to visit your family. Once you closed the door, they come and rob you. They take everything, even your laundry to make a little money,” says a woman who just came home from visiting her church, just to find her house empty. Four out of five adults aged eighteen have not completed the matric – the South African degree that allows you to enter higher education, seven percent have no education at all. HIV is a big problem as well, but also minor everyday injuries can turn out as a perilously thread, since medical supplys are rarely available. Caused by despair crime is ubiquitous and still rising. 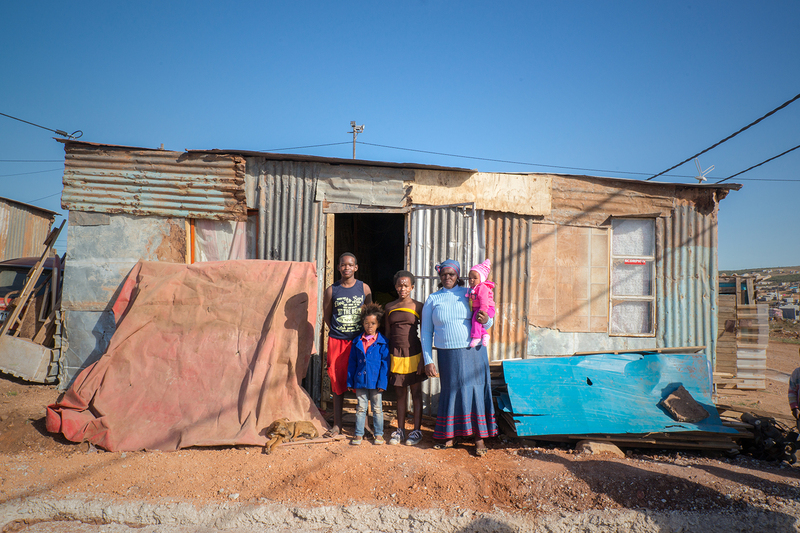 The South African government has tried to address these issues by providing housing development projects to “help the poor achieve a greater quality of life” (South African Department of Housing, 1997). But even the Breaking New Ground (BNG) policy, started in 2004, is only able to show small success. The aim, to eradicate all informal settlements by 2014 and to deliver sustainable human settlements, could not be reached. Indeed the government built 3 million housing units. But there is still a backlog of 2.1 million units, even more than in the beginning of the program – little surprising considering the fact that the informal settlements increased by 800 percent. In addition many of the houses, built in the first years of the program are already untenable since they were poorly built. While in 2006 the subsidy stood at R 12 500 (776 €) per household in 2014 it stood at R 160 500 (9.970 €). Many of those early houses had serious structural defects therefore they had to be demolished and rebuilt. Others were built on land without streets, sewage, water and electricity so that it was not really a benefit. With the promise of the BNG the attitude within the population has changed as well. While extended families used to live together in one household they split very early now. Young adults move out and expect to get a “free house” from the government, which makes it harder to close the gap. In the end there is only little improvement in quality or sustainability. There is still a lack of proper houses and integration, schools, health facilities and infrastructure that the government could not deliver up to now, even though the spending on housing has grown faster than any other budget item since 1999. In 2015 David Makura, the Gauteng Premier decried the little improvement in quality or sustainability. He pointed out that the houses, built during the last two decades are nothing but “incubators of poverty” since there are neither trees nor a proper infrastructure or any integration. 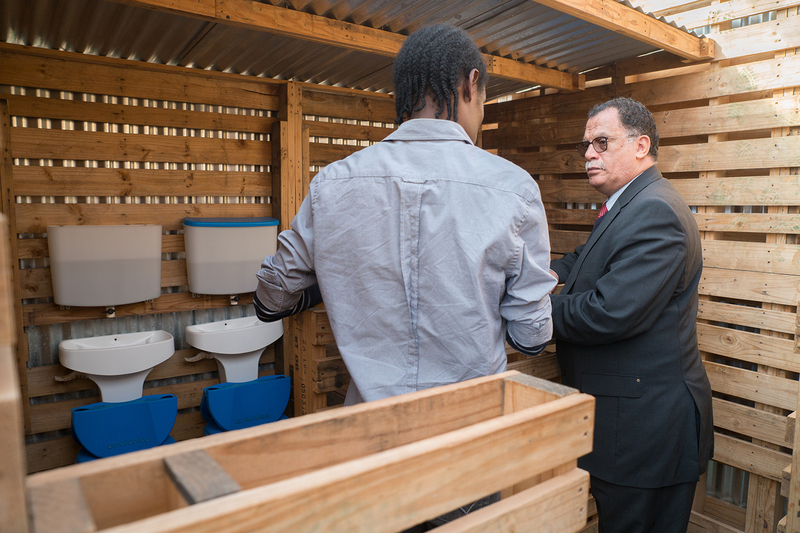 What can be achieved, if the inhabitants take these problems into their own hands, shows a project in Joe Slovo West, a settlement formed in the 2000s. 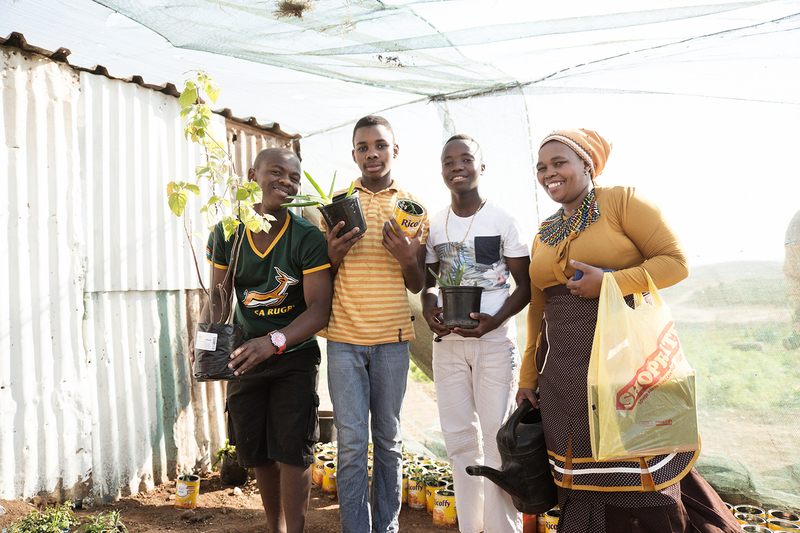 Here Patricia Piyani, a woman of the community who never had the chance to visit a school and who came from Grahamstown to Port Elizabeth in search of a greener pasture saw the need to fight the hopelessness and frustration among the youths. In 2008 she decided that it was time to do everything in her power to support the children’s education and she started with taking care of ten children from neighbors. As the need grew, she managed to find a patch of land and used it as an informal accommodation for about sixty children. This building however was unsafe, underequipped, dark, stuffy and barely suitable for small children’s requirements. There was neither running water, nor a sanitary system or access to electricity. The shack itself was built out of corrugated metal, which made the heat inside unbearable during the day. The only window offered only a breath of air. It was not even well-protected from rain, since it got flooded regularly, even during light rainfall. The interior consisted of nothing more than a few blankets and carpets placed directly on the soil and ground. 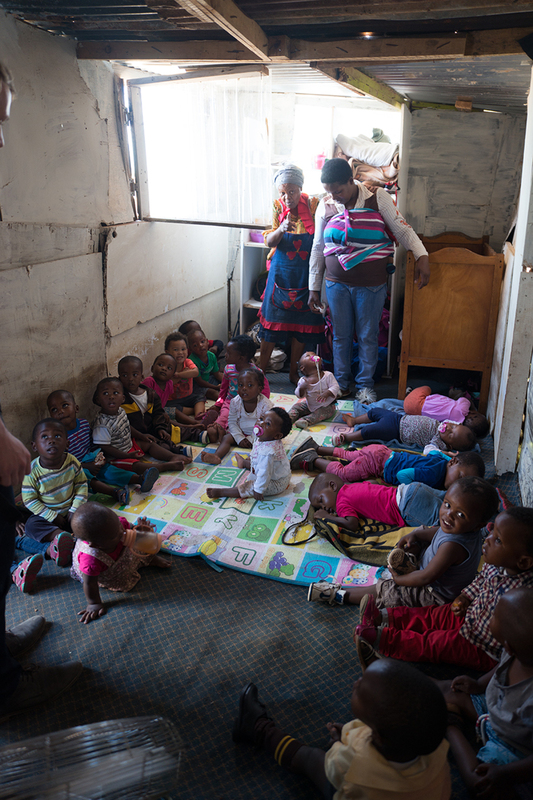 Most of the existing nurseries, called crèches, in South Africa still look like that. They are less an opportunity for children to get education rather than a possibility for parents to leave their children for a few hours so that they are at least safe from the risk of getting raped or stolen or other vices that have steadily found their way into the marginalized communities. 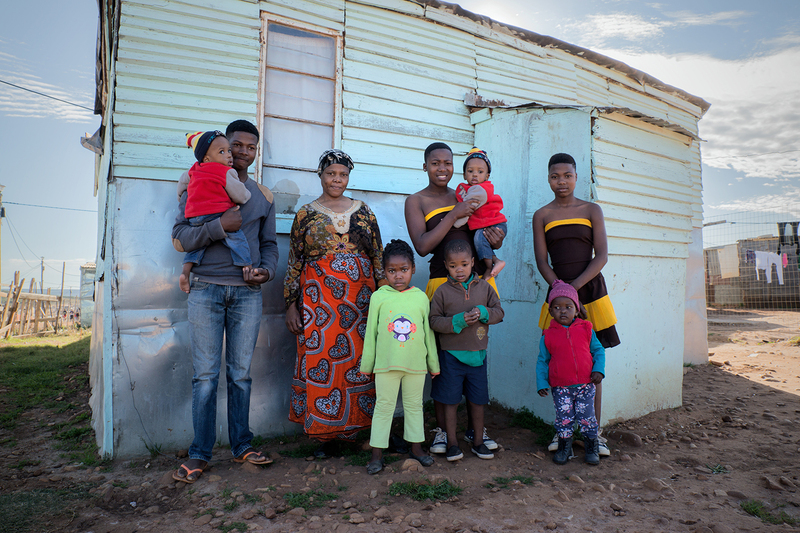 Patricia, whom the kids only call mama, knew that this was not enough and that is why she asked the Joe Slovo community for help to construct a building made from second hand materials in which she could welcome more kids. 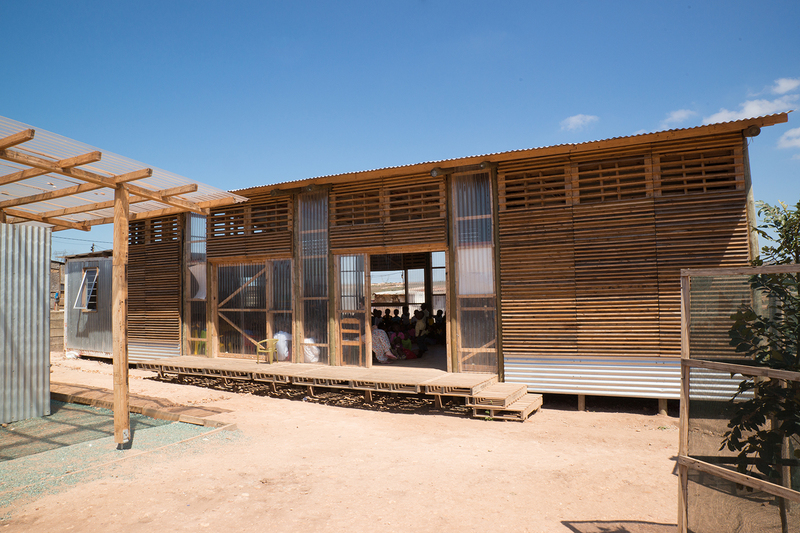 This fundamental idea of forming a sustainable preschool was quickly supported by Kevin Kimwelle, a Kenyan architect and PhD student at the local university. A local NGO called Love Story showed Kimwelle some projects they had conducted in poor and marginalized communities. Kimwelle currently conducts research using an action participatory research approach and at that time was looking for such a project: not only to apply his knowledge, but also to create social change. “I decided to help because I was tired of seeing poverty in Africa,” says Kimwelle, who had also travelled in Eastern and the Southern Africa. “I think it is time that Africans themselves start doing something for their own people, even though I appreciate the great and amazing help of numerous organizations and NGO´s in Africa,” he says. “Once I saw Patricia’s crèche and her heart, I knew immediately that this is a special project. It was the typical crèche, struggling to cope with few volunteers, who were willing to travel to the furthest corner of the city, trying to help by giving bread and soup or books whenever they can afford it. All this is not sustainable and it challenged me to plant a green and alternative building, to help the people helping themselves by providing them with spaces, programs and a hope for a better future.” The children and Patricia’s determination had moved him. Consulting with the community they quickly established a design for a childcare center, an adult literacy center, a youth center with wood and metal workshop and a food-producing garden to make up for the lack of services in the community. Two years after the initial planning and six months after the building process started, the first phase, which includes the main hall and the garden, is already finished. “I am so overwhelmed with so much joy. They built such a beautiful new school for my children. 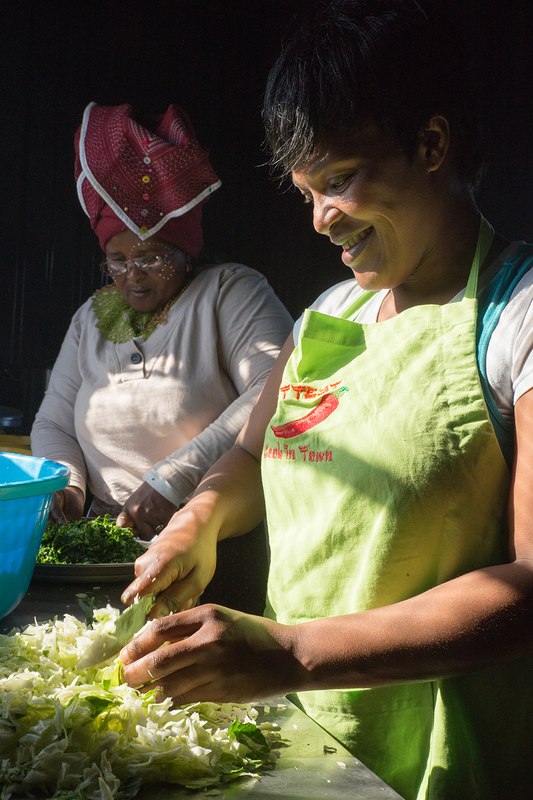 To go from a shack to this is such a blessing!” says Patricia. For Kimwelle the project proves that both is possible: an ecological and social sustainable living. 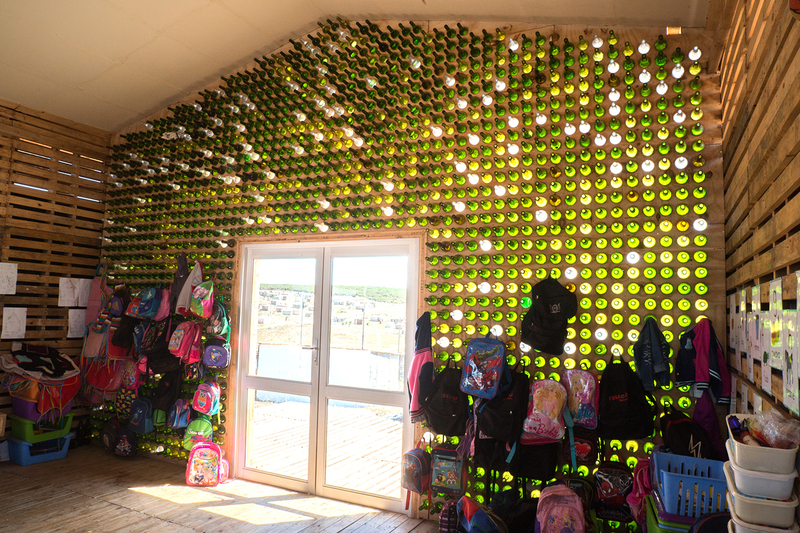 The main hall, that hosts the children until the preschool can be opened, is to 80 percent made of recycled materials, which where mostly donated by local and national companies. A well-known international soft drink company for instance donated about 450 pallets, the essential component of the complex, which are used for the floor, walls, window- and doorframes, sliding doors and sink support. Old wine bottles, collected from restaurants, are the main part of the north wall, the side with the most direct sunlight, letting in as much heat and light as possible during the winter, since so far there is only electricity for security lights. Facing the main building there is also a sanitary building with eight toilets and two sinks. In fact there is no flush water and water has to be brought from a shared communal tap, a tap that has to provide 120 houses with water. But the pan of the toilet is able to collet the water and takes it to filters, so it is subsequently used to water plants. The toilet design is an enhancement of Amalooloo toilets. A biogas fermenter is also being installed. The produced gas will be used for cooking. Astonishingly it will be the first facility of this kind and size within the city. A few streets down the main hall you can visit the new public garden where seedlings grow in old coffee cans, kids nibble on fresh harvested carrots and in a close by container women are cooking some soup made of fresh vegetables. It is dark and hot in there, the women are sweating a lot, since the soup is bubbling in huge pots over the naked flames of gas cookers. But the smell of cabbage soup is delicious and the women are smiling while they chop even more kale. Without any shop close by, fresh ingredients were not available before. The whole community is proud of what they have achieved. “My preschool is not leaking and my children are protected from the cold, blowing wind,” Patricia tells happily. More than that do they respect the main building as an untouchable institute that represents their team spirit, their hope, their faith in a better future. It unites the community now even more than before. When Patricia started to search for support, there were only two women who joined her and assisted with childcare. During the building process everybody who wanted to help was welcome. Men, women and children came to help and for the first time felt useful for the community. Along the way they learned to handle new tools and gained knowledge to reproduce some of these processes at their own homes. During building process several festivities – like a movie evening or an exhibition – were held and brought the people closer together. Stereotypes of fatalism, suspicion, prejudices and the mutual lack of understanding continue to diminish. Today no one dares to violate the building, which is why it is the only building in the area that does not need fences. When the building finally opens a man bursts out in tears. Like so many he had no education but helped building the center. “But is so important for me to see, that there is now a chance for our children!” he says, shaking. 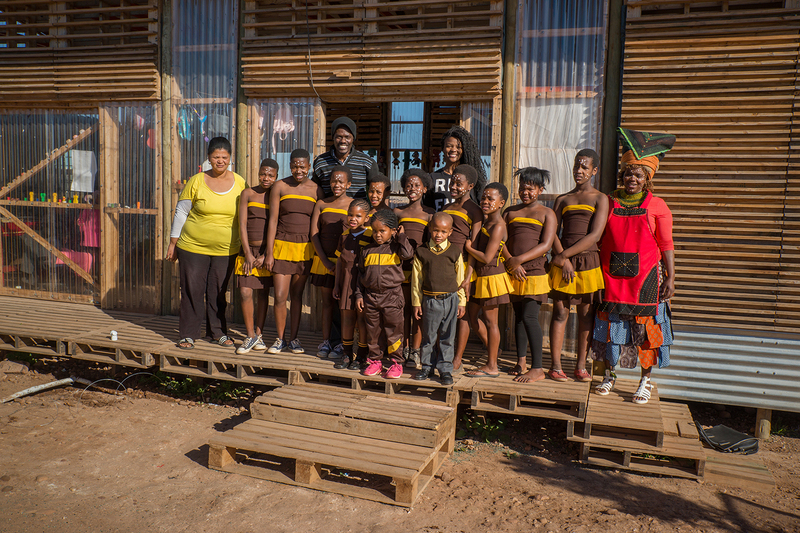 Social change by green design –the Joe Slovo West Community Project seems to have reached exactly that. The whole project is not finished yet but the people are eager to do more. No wonder since the houses from the government cost much more and offer so much less. While the first houses built by the government had an average size of 36 m², the current ones were extended to 40 m², the erected main hall offers 138 m². Initial hesitation easily lost ground, since the pallet construction provides more protection from the hard weather conditions like heavy rains or unendurable heat at day and the biting cold during the winter nights. Since the ground of the sanitary complex is covered with shuttered, blunt sand blasted glass, less bacteria can spread in the mud that otherwise is everywhere during the rain season. Therefore fewer children get sick. “It was the whole idea of the project, to use materials the people here are already familiar with. Waste pallets for example were used for walls anyway. But we wanted to show them that thanks to innovative design it is possible to add value and to create a room that gives them back their dignity” states Kimwelle. Everybody in the community is convinced that the project is not only an upgrade for the childcare, but also the first big step to combat the regnant poverty. Tags: Africa, Building, Crisis, Development, Eco-friendly, Housing, Informal Settlements, Joe Slovo West, Port Elizabeth, Sustainability, Township. Bookmark the permalink.